The Gold Coast lays claim to some of the country’s best beaches but there is a whole side to the Gold Coast that is often overlooked. The Hinterland! 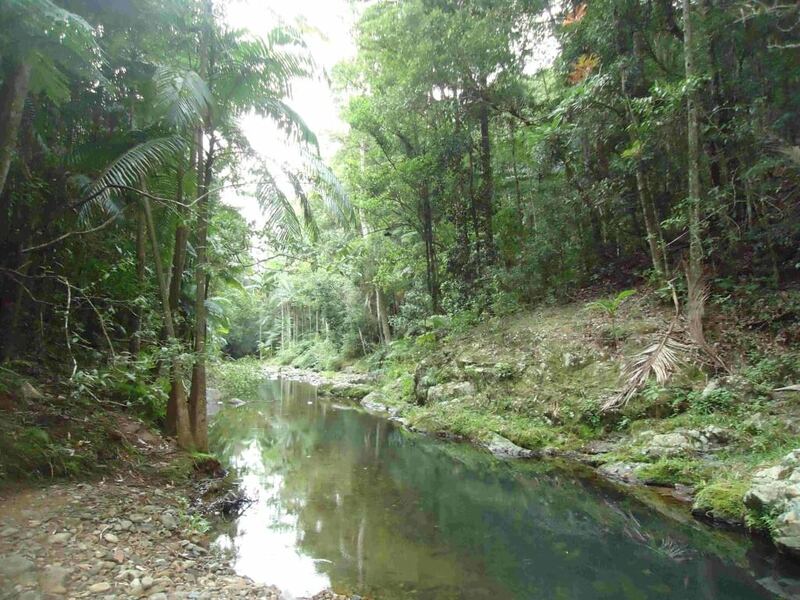 The Hinterland encompasses a range of mountains and National Parks as little as 15 minute drive from the beach. The Gold Coast Hinterland is a wonderful yet vast place, so to see all the highlights you’ll need to organise transport. If you’re feeling adventurous you can hire a car on arrival and explore on your own or take one of our tours that can be arranged to show you the best of the hinterland! Kilarney Glen– A must see on the Gold Coast! Kilarney Glen features the famous heart shaped pool and some beautiful secluded spots, perfect for a picnic! Purling Brook Falls– These are some of the most amazing falls you’ll ever see. 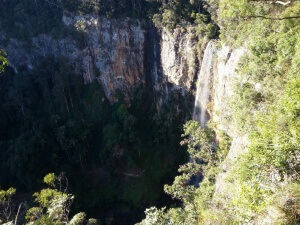 The waterfall itself drops straight down over 100m and there is a walking track to take you from top to bottom to experience the falls from a new perspective. Best of all Lookout– Hidden away on a hilltop in Springbrook National Park is the appropriately named ‘Best of all Lookout’. Experience panorama views over the entire Gold Coast and as far south as Byron Bay. Polly’s Country Kitchen– Sit on the veranda and enjoy a delicious meal. This is one of the Gold Coast’s best kept secrets. Polly’s Country Kitchen is a popular wedding destination but for the rest of the time it is a favourite lunch spot for locals wanting a quiet feed amongst the trees! Advancetown Hotel– This hotel definitely has a different feel to Polly’s Country Kitchen but if you want a meal and drink with the family you won’t find anywhere better! The meals are delicious and are so big that you won’t need to eat for the rest of your trip. So make sure a day trip into the Hinterland is added to your itinerary and enjoy a relaxing day out!